I'm as passionate about sharing as I am about photography or visual storytelling as I like to call it. With 10 years of experience in the advertising business combined with more than 10 years in professional photography, Storytelling has been central in my career. You can sign up for a number of different courses both for DSLR cameras as well as my internationally acclaimed Smartphone Photography & Storytelling Workshops. Check out the calendar below for dates or contact me if you would like me to prepare you a customized workshop. In my Workshops « Smartphone Photography – the Art of Storytelling » I teach you how to take amazing photos with the camera you always have with you, your smartphone ! During the Workshop you will get a better understanding of light and composition, we will talk about the essence of storytelling and how to create communicative images that stand out on social media. Last but not least I teach you how use the different applications available on your smartphone, both for taking the photos as well as for the quick post production to make them look amazing. My workshops have been so well received that I now offer them all over the globe, helping companies and their employees reconnect with their stories and, by doing so, become effective, creative and authentic storytellers. ART OF LIGHT Smartphone Photography Workshops can be organized as Internal Company Trainings, as Workshops during one of your Company Seminars, as a part of School Programs, or for Private Clients in small groups up to 5-6 people. All courses are personalised and adapted to the needs, level, time and budget available. Courses are available in several languages (English, French, German, Dutch and Spanish). As of January 2017 I am very happy to be associated with the Swiss Photo Club. Here you can sign up for Photography courses (both in English, French and German) destined to all people who would like to get the most out of their DSLR Camera. I am joined by a number of renowned photographers who are all passionate to share their knowledge and love for photography. You have a camera, but feel overwhelmed by how it works? End up using the Auto mode or your phone’s camera instead? The Intensive 7 hours Beginners Course will equip you with the most important skills needed to create high-quality photography in just one day. During the first 4 hours, you’ll learn key photographic concepts and techniques (exposure triangle, composition, shooting modes, focus, and more). After a well-earned lunch break, we’ll go outdoors for a 3 hours practice to put your newfound knowledge into practice. Sign up and add the code LPCELISA to get a 10% discount ! Rejoignez moi pour un Workshop de Lightroom chez Profot, le magasin spécialisé pour les photographes exigeants :-). Lightroom est l'outil d'excellence pour la catalogage et le traitement de vos photos digitales. Dans ce workshop j'aborde les sujets de l’importation des photos, le traitement de photos jusqu’au partage ! Venez enrichir vos connaissances sur les possibilités pendant l’importation, catalogage, préréglage, organisation des photos, traitement en lot et comment utiliser toutes les possibilités de post-production allant jusqu’à l’exportation de cet outil hyper puissant. Envie de faire des meilleures photos avec l'appareil que vous avez toujours avec vous, votre Smartphone ? Le 18 mai 2019 je donne un cours Smartphone Photography pour le Swiss Photo Club à Lausanne. Enregistrez vous en cliquant sur le lien et utiliser le code LPCELISA pour obtenir 10% de rabais. Le cours se déroulera au Studio Banana à Lausanne de 13h00-17h00 et consistera d'une partie théorie et une partie pratique. Idéal pour les personnes privés qui aimerait faire des meilleurs photos avec leur smartphone ! Après avoir organisé plusieurs workshops pour la photographie dans cet endroit magnifique, nous avons le plaisir de vous proposer un workshop Storytelling VIDEO avec Smartphone. Ce workshop est développé spécialement pour tous les professionnels de la communication. Découvrez quelles sont les bases de la lumière et de la composition d’une bonne video et mettez ces connaissances directement en pratique. Apprenez à utiliser les applications de votre Smartphone pour créer et éditer vos videos et avoir un bon impact sur les réseaux sociaux quand vous les partagerez ! 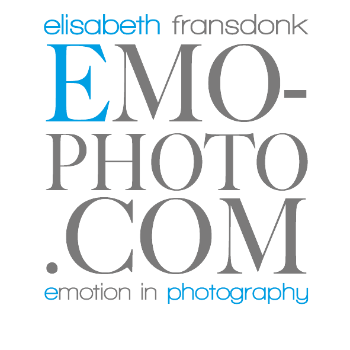 Ce cours est donné par Elisabeth Fransdonk de Emo Photo et Juraj Berezny de NowOrNeverVDO. If you would like to have more information about any of these courses, please contact me through the contact page of this website or call me directly at + (41) 79 7490583. Looking forward to hear from you !